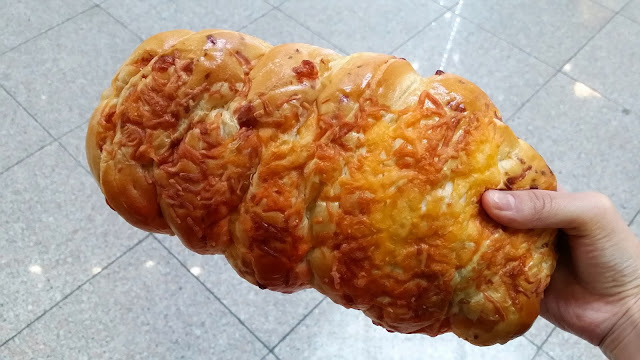 I'm on a roll with these Asian bakery posts, aren't I? Haha well today I bring you a review of De Fresh Bakery! De Fresh is located in Crystal Mall near Wind Mobile and the parking lot staircase. I've actually never tried their buns before, even having walked past over 50 times haha. Well, better late than never! 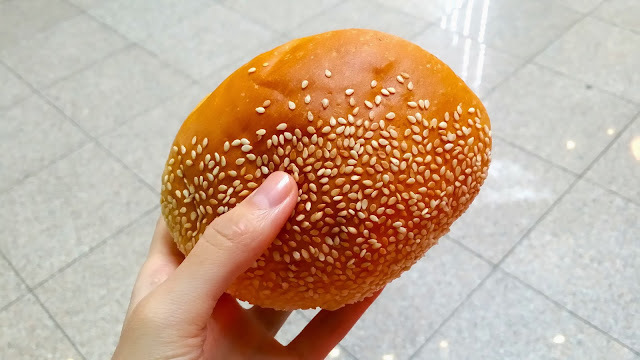 Looks like an ordinary Pineapple Bun from the outside right? I was pleasantly surprised to find that the center was filled with taro! One thing I love about De Fresh's sweet buns is that their dough is on the sweeter side. 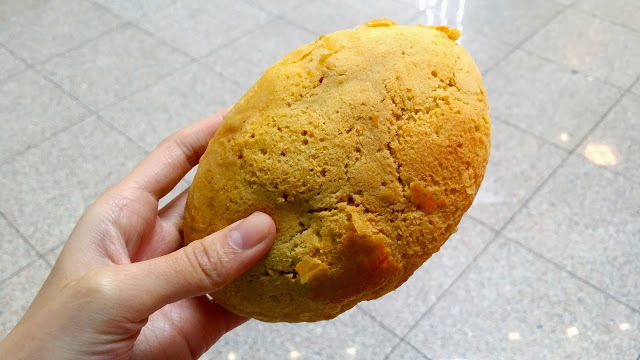 However, their dough is a lot denser and harder than a lot of other Asian bakeries, so you like your dough to be fluffy and soft, this is not the bakery for you! It didn't really bother me though, because the flavour of the bread made up for it haha! The exterior shell of the pineapple bun was alot sweeter than other ones I've tried. The taro was soft and mildly sweet. Eh, I wasn't a fan of this bun. The dough was completely tasteless, and the Pork Floss was very dry. You guys already know I love anything and everything coconut, so I had to try this. This was actually a massive bun, with 3 adjoined pieces. The dough itself was very sweet. It had a substantial amount of coconut filling. The coconut flakes were white, as opposed to other bakeries where the filling is yellow. 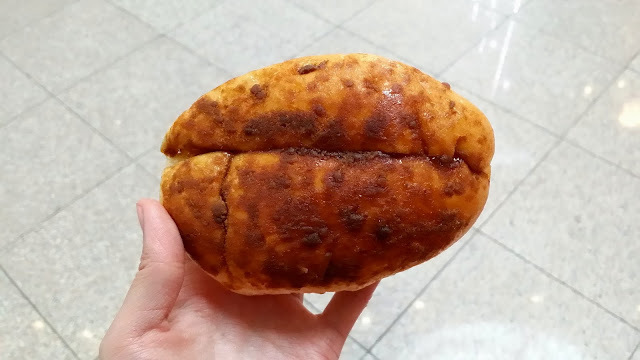 The filling was heavier and more saturated in oil than other bakeries I've tried. Overall, it was still a delicious bun, but not as good as the taro one! I could barely even detect a hint of cheese. It basically just tasted like white bread with a hint of saltiness. 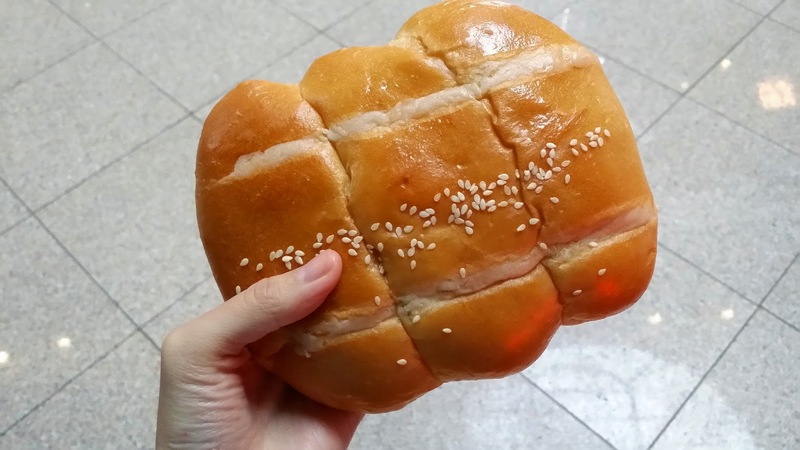 This was a pretty standard bun for an asian bakery. There wasn't any filling, so the only flavour came from the pork floss. Will I be back? Yes, for their Pineapple Taro Bun haha!